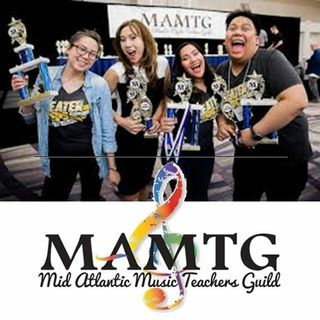 For this special edition of Music Matters International Discoveries, SBN Executive Producer Viarnne Mischon speaks with original artist and music teacher Elisa Girlando, spokesperson for the 2018 Mid Atlantic Music Teachers Guild Festival, and Orlando Dillon, Executive Director of KiDz HuB Media Network Inc in New Jersey USA. The MAMTG Spring Music Festival is all about the kids! Students of all ages across the eastern states of USA can attend this annual Spring Music Festival and participate ... See More in a variety of events - music competitions, music evaluations/assessments and performance showcases. Each musical instrument category includes several types of events that promote music excellence for students of varying musical ability levels.